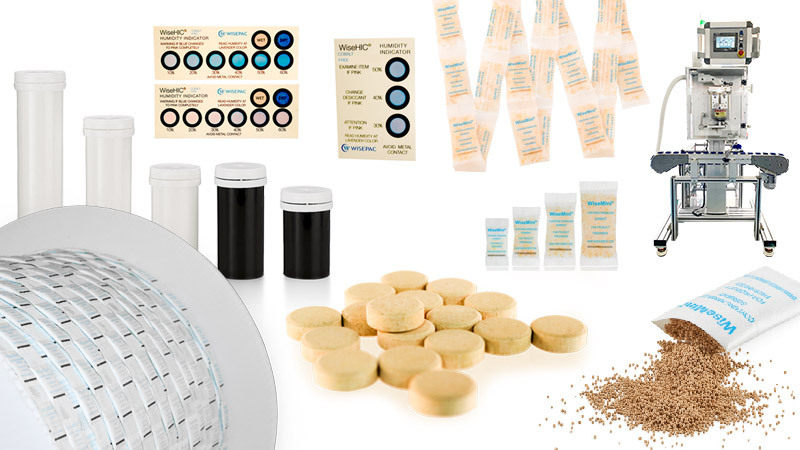 Major Diagnostic Reagent Desiccant Product Page Update! At the beginning of February, many of our readers may recall that our Pharmaceutical desiccant product page had overgone a major overhaul. Now we have done the same with our Diagnostic Reagent Industry based desiccants along with a few other major updates to the Pharma page as well! Not only do all of our Diagnostic Reagent based products all have new photos, descriptions, frequently asked questions and relative humidity absorbance percentage charts but we have also made a major overhaul to the look and feel of the page as well! We have also made minor adjustments and improvements to the Pharmaceutical page to match the theme throughout the site. In addition, there are even some new products to be seen on both pages such as the very popular and brand new Desiccant Aluminum Film in various formats, our Powder Packaging Machine (previously only talked about on the solutions page) and fully updated information on our Diagnostic Wisetube series. Safe to say, there is a lot of new material to see! 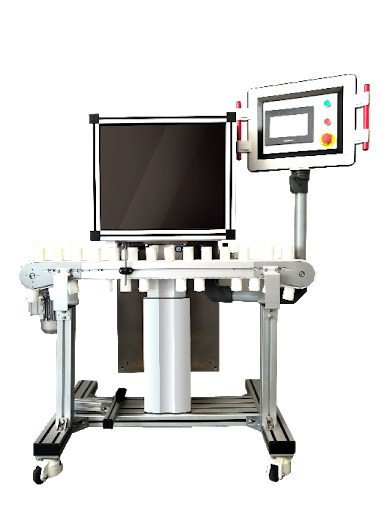 Further still, we will be creating a new solutions page for our Diagnostic based solutions, such as the optimal usage of our Horizontal Cutting and Dispensing Machine, how to utilize the Desiccant Aluminum Film for Diabetes strip and more to come very soon. What is great about these updates is that it helps people not only understand what Wisesorbent has to offer but also the Desiccant Industry as a whole. Our vision for this website is not just to sell products, but to help those in their respective industries learn why desiccants are so important and helpful to them. Like a famous phrase says: “good things come in small packages”. So please, have a look at the new page and be sure to check out the site next week as we start rolling out the new solution pages. Up next we are sure to see similar updates for the Industrial and Shipping Container industries too. As always, feel free to contact us with any inquiries you may have, especially now with a clearer picture of what we have to offer. Just last week, Wisesorbent had an excellent show at the Interphex Trade Show in NYC. Many customers stopped by our booth, giving us their specific desiccant requirements and the current quantities and specifications they use currently. We were happy to show them the Wisesorbent equivalent and naturally we have the capacity to meet the majority of their needs. Meanwhile, our new products and innovations; especially the aluminum desiccative foil were very popular and asked about frequently. We highlighted not only the powder packaging, lidding foil and blister pack capabilities of our aluminum foil but also a new type of packaging that can be used for diabetes strips and other types of small diagnostic devices. These and our machines running around the clock lead to a great overall success at Interphex, and we hope to have a similar showing this week at Supply Side East in Secaucus, NJ at the Meadowlands Convention Center. 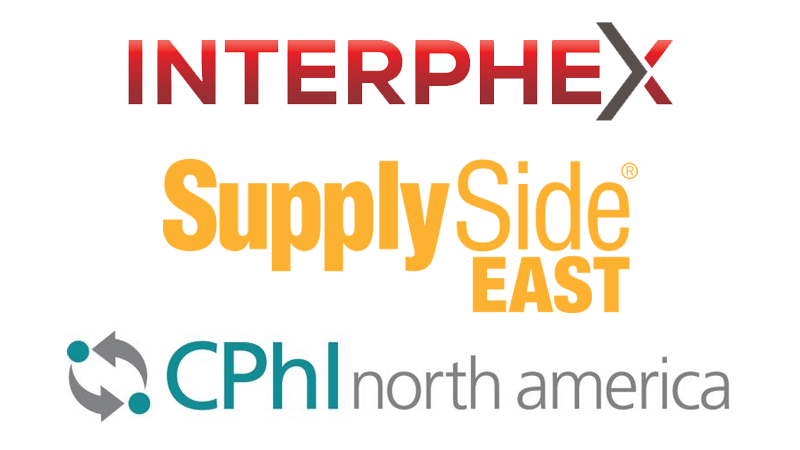 Supply Side East is a huge hub for supplies, ingredients and solutions for the pharmaceutical industry. We have been attending Supply Side East and West for many years, and are very well known in their convention circle. Whilst there, prospective and current customers will be able to access a wide variety of information regarding our desiccants, innovations and machinery. As always, the Wisesorbent team will be there to answer any questions you may have about our desiccant line or fulfill any requirements you currently have to ensure your products are protected from moisture and humidity. 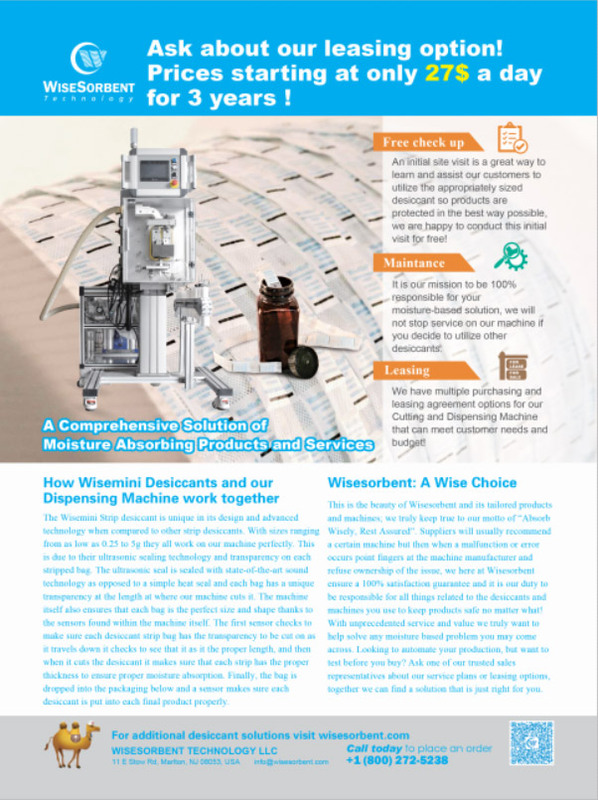 Feel free to ask for a sample while you are there, grab one of our many sell sheets and catalogues filled with technical information about how our desiccants work or even schedule an appointment to discuss how you and Wisesorbent can work in tandem. 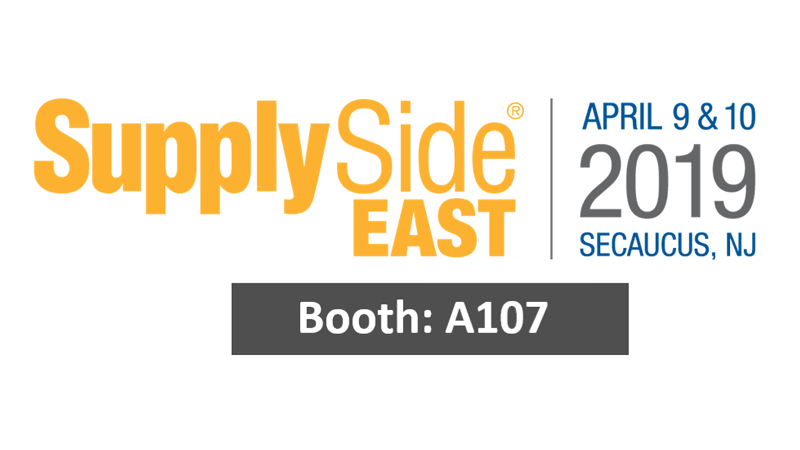 Supply Side East will be running for two days on April 9th and 10th , and our booth will be A107. Its not something anyone in the pharmaceutical field will want to miss out on! 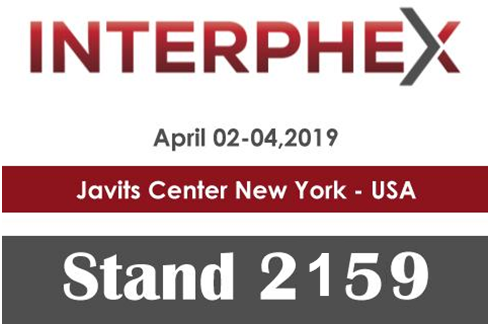 As we had stated in previous articles, Wisesorbent will be attending Interphex in New York next week from 4/2/19 to 4/4/19 at booth. We plan to have some very exciting announcements such as new innovations, new products and of course demoing the latest machinery we have on offer! With such surprises in store, it’s a safe bet that Wisesorbent will be making its mark yet again at Interphex in New York City this year! This will be our 5th visit to Interphex so we are hoping to see new friends and customers as well as fresh faces too! So what type of new products are we going to show? Obviously, seeing them for yourself is the way to go, but at the same time seeing and handling them firsthand is 100% part of the tradeshow experience, if you are truly in need of one of our moisture solution products feel free to ask for a sample and we will be happy to provide you with them! Our most talked about innovation lately has been the much sought after “Desiccant Aluminum Film” available for both powder and food packaging as well as blister packs and even cold form style lidding foil! This innovation is revolutionary in its design due to it being able to absorb moisture at a rate comparable to traditional silica gel adsorbents without the need for a sachet/bag. Feel free to ask about when you stop by at Interphex; seeing is believing! Another popular and much asked about attraction are the machines that we put on display when we exhibit at trade shows. Interphex will be no different as we display one of our latest models of our Cutting and Dispensing Machine. There are various upgrades when compared to our previous model such as: a built in Dry-box housing the desiccants, a more compact control panel as well as a hose from the Dry-box to the main machine unit thus ensuring that all the desiccants being dispensed and cut do not lose any potency whatsoever from the factory or warehouse environment that it is working in. Many cutting machines for desiccants are either too bulky and large or too small with not enough features or high failure rates. On the contrary, our machine has a small-form size along with 4 sensors checking various parameters of each individual desiccant bag ensuring that each product it protects is truly safe. Also thanks to the sensors near the cutting blade and our Wisemini desiccants transparent ultrasonic seal not a single desiccant bag is cut incorrectly or split open! We will be running it each and every day at the show constantly non-stop. Yet again, another great reason to stop by the Wisesorbent booth. What type of products need desiccants? Whenever we here at Wisesorbent talk about desiccants, we usually bring up 4 main industries: Pharmaceutical, Diagnostic Reagents, Industrial, and Shipping Containers. But many people ask us, what type of products really need desiccants? The simple answer of course is anything that needs moisture protection or humidity control but it can of course get a lot deeper than that. Here is where we can dive into each industry individually and explain why desiccants and their properties are so integral to their packaging process. In the pharmaceutical world, cleanliness, purity and control are key. Countless regulations ensure that medication and care are administered properly and that also extends to their packaging. For example, have you ever left a bottle of vitamins open (especially the gummy/gelatin variety) and find out that their texture has completely changed? This is due to the humidity found in your household areas: drawers, medicine cabinets, anywhere a cool dark place is, moisture gathers very quickly. Our desiccants can prevent such situations from occurring and also ensure that from factory to the end customer, they are safe and can be administered properly. If you think your cabinet has humidity going through it one can only imagine a hot factory buzzing throughout the day, a truckload of boxes filled with hundreds of identical boxes stacked on top of one another, its bound to be hot in these areas even in the coldest seasons. Thus, we ensure our desiccants are dispensed properly, sealed until being added to each package. In fact, even our cutting and dispensing machines have dry-box technology to make sure the atmospheric conditions are perfect during the entire process. Speaking of factories and trucks, the industrial world needs desiccants for many reasons. Machinery operating all day in enclosed settings generate lots of heat, steam and can lead to many problems. Machinery operating non-stop can accumulate rust, general wear and tear from constant use and not work as well overall due to these conditions. Our large clay desiccants can be places throughout the factory floor to capture the moisture found during day to day operations and be one of many shields to keep machines and the products found within a factory going. We even carry dry breathers filled with silica gel (you may have seen it on our product page here) that can be attached to certain types of machines to filter the steam and humidity they give off directly. These large-style desiccant bags are also great for ground transportation, long term storage and other areas where things can get a bit muggy. The storage world is notorious for a condition many people do not know about “container rain”. Take for instance a company that ships from Hong Kong to New York City. The port of Hong Kong is found near Southeast Asia which is very warm and humid all year long, while New York has a traditional 4 season climate. 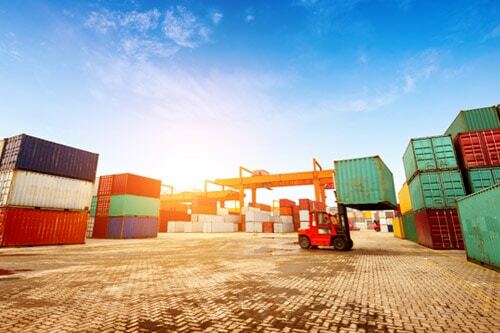 During transport, these temperature and weather patterns change and it can effect the containers greatly. Just like a glass freshly filled with ice, condensation occurs within the containers as the days turns to the night potentially ruining thousands of dollars of merchandise! Thanks to our high-strength calcium chloride-based desiccants we can eliminate this costly issue. Containers have various areas where we can hang them, we can stick them directly on top of packages found inside and we can even increase their humidity absorption rates by applying a filter to the ventilation areas found inside shipping containers too. In this way, a costly issue can be fixed with our technology and done more easily thanks to innovations in the way our packaging can better fit within any type of container, large, small, filled to the top or with space to spare. Thus the question “of what product needs a desiccant?” is better asked “what type of desiccant is best to solve the problems I’m having?” for as long as moisture and humidity exists, desiccants will be around to put an end to the trouble they cause logistically. The packaging world is full of things that can improve it: recycling waste material, decreasing lead times, safety during the process, shipment tracking, and protecting products from damage. We here at Wisesorbent are just another integral piece of the puzzle! If you’ve missed Wisesorbent now is a great catch up with everyone’s favorite moisture solution provider. 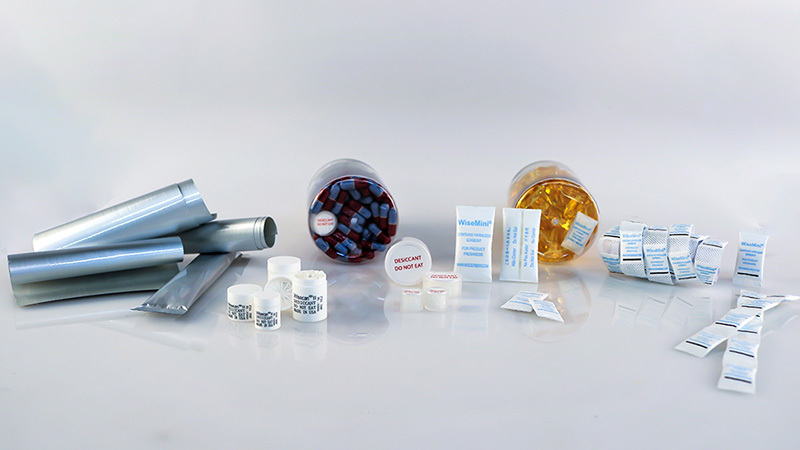 Throughout the month of April, almost every week Wisesorbent will be exhibiting at some of America’s top packaging and medical device trade shows! Be sure to drop in and pay us a visit and get the latest news and announcements that are sure to excite anyone in the packaging world. We will be highlighting the latest developments and machinery and our experts will be available for any inquiries or assistance you may need. All 3 shows are sure to be a major success for us here at Wisesorbent and we hope to share that success with you! Whether it’s the pharmaceutical, diagnostic reagent, industrial, shipping or even the food industry Wisesorbent has a solution and its products ready for you; samples as well will be available upon request. Thus, follow the details below and find out when Wisesorbent is headed to your major city next month in April! Watch for Wisesorbent: New Ad Campaign! Our first ad will be focusing on our sachet and cutting machine solution in the next issue in March and we will have 5 more over the coming months, a six month campaign with a new announcement each issue! We hope to bring excitement and innovation to the desiccant world and want to spread the word as much as we can! You can get a sneak peak of the advertisement today here at the end of this article but this isn’t the only announcement we have when it comes to expanding our horizons! 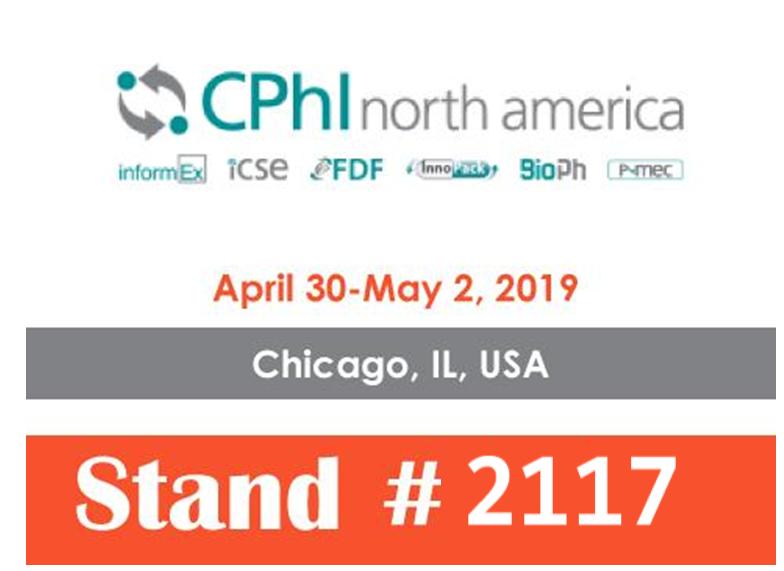 At the Interphex show in NYC at the beginning of April we will be on the Front Cover of Pharmaceutical Daily News on day 2 of the show (April 3rd) so make sure to grab a copy and check it out! 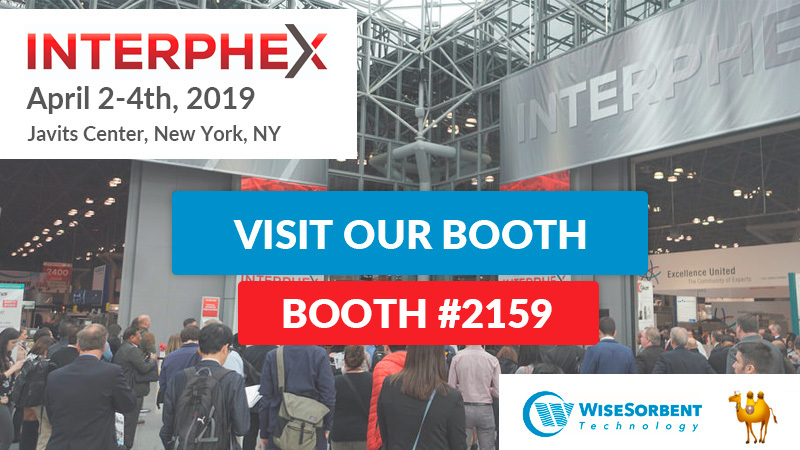 Interphex is a huge event and everyday we will have an ad in the widely distributed publication along with a press release inside where you can read the latest updates on Wisesorbent firsthand! Back From WestPack: Great Success in the Golden State! 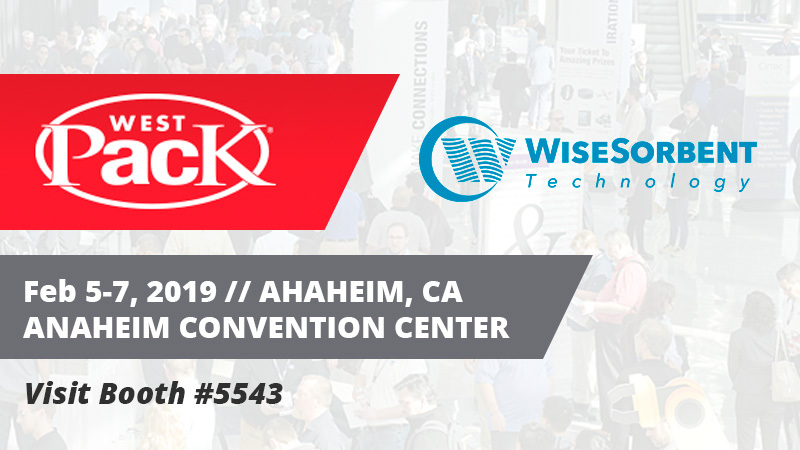 Wisesorbent’s time at WestPack 2019 in Anaheim, California made a big impact on the packaging and desiccant world. Our team was busy throughout the week meeting and greeting visitors to our booth who were interested in a wide variety of what we had to offer and showcase. Naturally, the machines were a big hit and people loved learning about how they worked and that they were running all day long for all the trade show to see and admire. 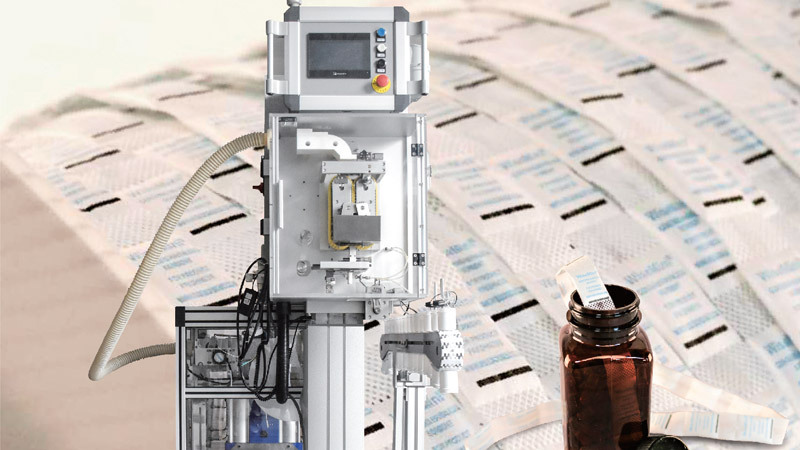 One of the biggest announcements at this show was also the new overhaul of the pharmaceutical desiccant line along with the new innovations coming later this year. The innovation in question that had the most people thrilled was our aluminum desiccative film that is currently patent pending and will be available for sale later this year. People were amazed, a foil packaging for blister packs that protects medication from both the outside environment and humidity inside the packaging itself? Not only that but it also can be used for powder packaging as well, such vitamin C and protein powders for example, eliminating the need for traditional desiccant bags in the packaging all together! It was amazing to hear about this innovation for many and we will definitely be exploring all its applications as we get closer to launching it to the public very soon. 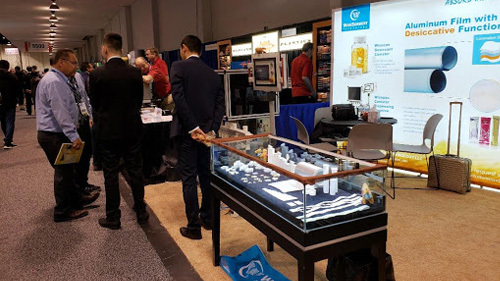 Being at the tradeshow in California one of the biggest markets in the United States and even the world as a whole, we were visited at our booth by all types of industries. As many know we are very popular with the pharmaceutical, diagnostic reagent and nutraceutical world already. It will be very interesting to see how our moisture solutions can help improve the quality, shelf life and even overall safety of these industires and further and other areas as they evolve and innovate as time goes on. 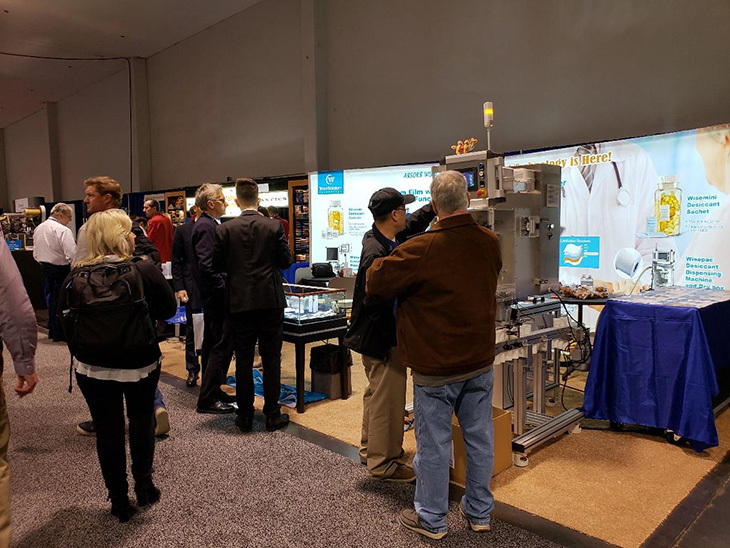 With 100s of visitors to our booth this year at WestPack 2019 we are glad to have met everyone who came to visit our booth, be sure to stop by the site each week to hear more updates and trade show announcements! As promised, 2019 is going to be a big year for Wisesorbent: with over 8 domestic trade show exhibitions, a new remodel for our state-of-the-art production line and new product announcements happening all the time, it is truly exciting. That’s why as we bring January to a close and start off 2019 we are proud to announce our first update to our website’s product line with the “BIG Pharma Desiccant Update”! 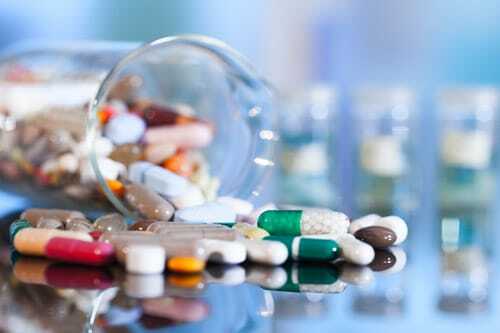 These updates apply to our Pharmaceutical and Healthcare line of products especially. Each product in this industry has had new pictures taken, revamped their original look from previous product generations and has new data to show why Wisesorbent Desiccants are top quality. In addition, some changes are sitewide, feel free to look at some of the new technical data and our new product information format found on every product page! The redesigned product information tabs are easy to read and filled with the latest information! Another huge update is a complete revamp of our solutions pages! To coincide with all of our pharmaceutical product updates we have also decided to focus and explain how our services work with our machinery and desiccants. We here at Wisesorbent pride ourselves in providing service and solutions to our customers no matter what circumstance, we are always willing to work with our clients to provide the best possible outcome. 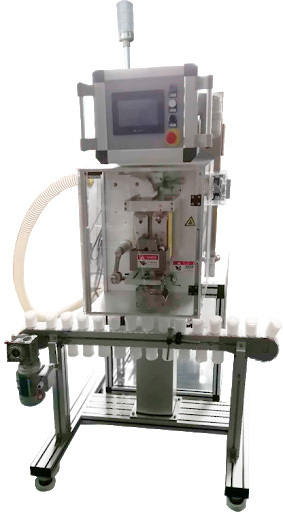 If you’re interested feel free to take a look at our first round of solutions today based on 3 of our pharmaceutical/nutraceutical based dispenser machinery. You can find it under the new “Products and Solutions” tab above and simply click “Pharmaceutical Solutions”. Which new solution is your favorite? Stay tuned as we continue to update the website and here on the news page for more of our announcements, and be on the lookout for the next big product update coming very soon! 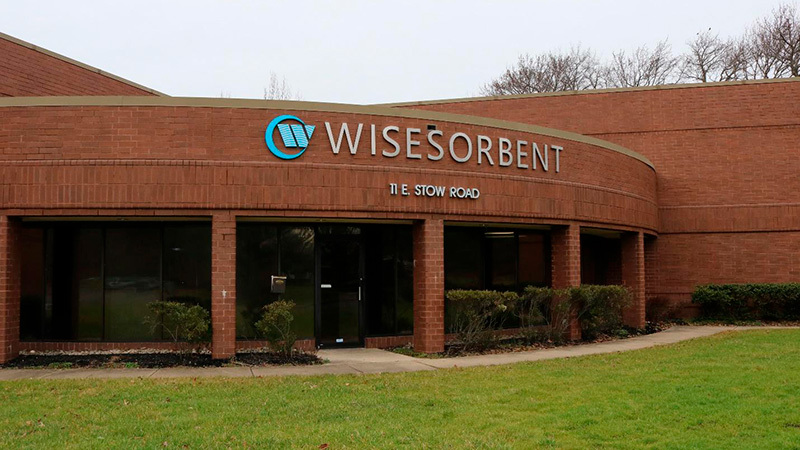 As many of our friends and customers know, Wisesorbent is based in Marlton, New Jersey and will be celebrating its 19th year of business overall in 2019. 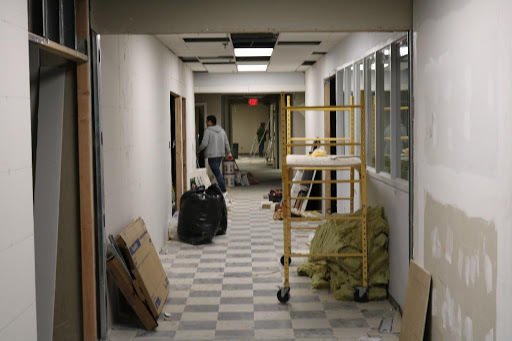 However, what many may not be aware of are the many exciting new developments and changes coming to our Marlton location! Here is a behind the scenes look at what to expect in this new year at Wisesorbent, where we Absorb Wisely, Rest Assured! So here we are, 2 years at 11 E Stow Road, Marlton and many new innovations happening both inside and out. One thing that we all immediately notice is the new sign, brilliantly showing our corporate insignia and company name. But what is in store as we open the doors? That curiosity will be rewarded, because work is happening around the clock to ensure Wisesorbent’s continued success in the desiccant and packaging world! 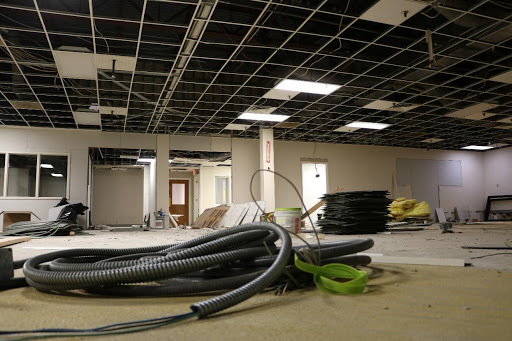 We here at Wisesorbent Technology care about our customers and our employees and this new renovation is just one of many changes we are undergoing this year to ensure the quality you know from Wisesorbent continues to improve! With these new testing labs, production lines and jobs created to man all these facilities we not only are able to bring you the great desiccant products and machinery you know and love at a faster pace, but also can ensure that they will become even better! We not only are able to grow as a company but our community as a whole. Stay tuned as we bring additional news and updates each week this year of 2019, a brand new beginning here at Wisesorbent that is sure to excite!